How do I change my personal details (address, name, email address etc)? You will need to logon to your account and then visit the 'My Account' section - click the link above the basket when logged in to go to your account. You will be then able to edit your details in the left hand side of Your Account page on our site. On the login page you can click on the password reminder link - after entering your email address you will be emailed a link to reset your password. What do I do if I entered my email address incorrectly when setting my account up? If you log in using the original email address given, you will then be able to amend this in the edit details section of Your Account. In Your Account there is a promotional preferences section where you can change your mailing preferences. You can unsubscribe from any email by clicking on the ‘unsubscribe’ link on the email received. We can process payments made by all the mainstream credit and debit cards - the only exceptions we have are American Express and EDC cards, which we do not accept. PayPal payment can also be accepted through the website. When will be payment be taken for my order? If you are paying for your goods by credit or debit card, no payment is taken until the day of despatch. PayPal payment is taken at the point of placing the order even if an item is currently out of stock. Any cheque payments are deposited immediately. How can I place an order and how do I pay for this? If you wish to place your order online, unfortunately the only way you can pay for your order is by debit/credit card or PayPal. You can also telephone us to place an order on our Orderline - 0333 400 1500 (local rate) 8am to 9pm (Monday to Friday), 9am to 7pm (Saturday and Sunday). Alternatively, you may prefer to order by post and pay by cheque or postal order (or card). Simply complete the order form (from any of our catalogues), include the relevant delivery charge and either your card details or a cheque/postal order. Cheques should be made payable to Harrod UK Limited. Please then send to Harrod Horticultural, Pinbush Road, Lowestoft, Suffolk NR33 7NL. Harrod Horticultural is a division of Harrod UK Limited, founded in 1954 by our present Chairman Ron Harrod. Our reputation for product design and development is second to none. In fact Harrod UK sports equipment is today extensively used in all major sporting venues including the Millennium Stadium and all Premier League football clubs, extending our reputation worldwide. Harrod Horticultural has the same unique commitment to quality and customer satisfaction that has always been at the heart of our business. So when you buy our products you can buy with confidence. Do you have any shops or outlets? Unfortunately as we are a Mail Order and manufacturing company, we do not have a shop or a showroom and therefore are not open to the general public. 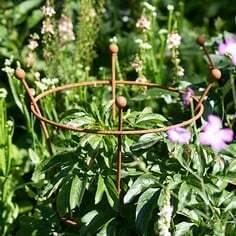 However, we have supported many Public Gardens by supplying them with a variety of our products to display and use in their gardens. 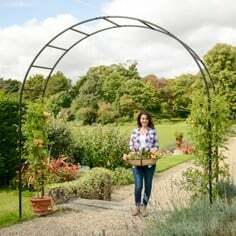 For example: Garden Arches, Fruit Cages, Raised Beds and Plant Supports. 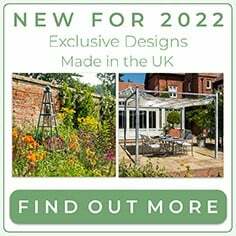 The Show Gardens section of the site gives details of all the gardens, addresses and telephone numbers. 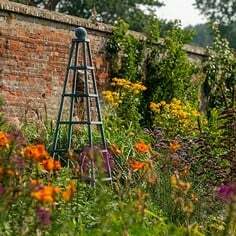 We fully recommend that you telephone the garden prior to visiting to ensure that the product you are interested in is on display; as although we have provided the garden with our products, we have no control over where, or if, products are on display on any given day. At Harrod Horticultural we chose to use 0333 numbers to make the experience of contacting us by telephone easy and efficient. You will notice when you call the orderline, you will hear a series of options to select from. Selecting the correct option ensures your call is transferred to the correct department and your call is answered as quickly as possible. We would be unable to offer this service using a local number. Calls to 0333 numbers are usually chargeable at a local rate from both UK landlines and mobile phones - some networks may vary, please check with your network provider for more details. Who do I call if I have a query on a product? We have a dedicated Customer Services Team based in our offices at Lowestoft in Suffolk. They are available to deal with your technical queries and questions regarding the products we sell and can be contacted between 8.30am and 5.30pm Monday to Friday on 0333 400 6400 (local rate). You can also email your query to customerservices@harrod.uk.com. Yes, we sell gift vouchers as the prefect present for a fellow garden lover. Gift vouchers can be redeemed online and are available in £5, £10, £20, £50 & £100 denominations. We are unable to accept PayPal payment when using a voucher. Vouchers can only be used once as part or full payment and are only redeemable in a single transaction, no change, credit or additional vouchers can be issued. Where can I get some expert advice? We have got an Ask the Expert section on this site where Jo our Kitchen Gardener can respond to garden-based enquiries from our customers. 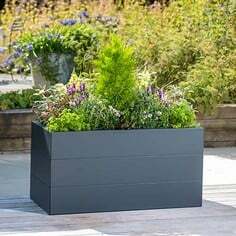 Our timber products use timber sourced from sustainably managed forests and where possible our products are despatched using recycled cardboard and protective packaging for you to compost. We are continually looking for ways to reduce our environmental impact with new ways of packaging and recycling. We also support the WEEE (Waste Electrical And Electronic Equipment) Regulation. How long after placing my order are my goods dispatched? Stock permitting, standard delivery items are dispatched within 1 to 3 working days of your order being confirmed. Some direct despatch items will take longer, please see information on the product page for more accurate delivery timescales or visit our Delivery Info page for more information. Please note our busiest period is between February and May so your patience during this time is appreciated. Express Orders received by 12pm (midday) are dispatched the same day. Express Orders placed after 12pm (midday) Friday are despatched the following Monday. As above, some products are excluded from express delivery which will be highlighted on the product page. 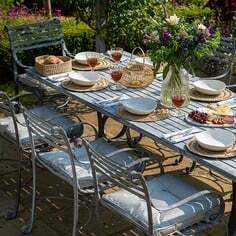 Some products are dispatched directly from our suppliers and may have a longer delivery time. This will be highlighted on the specific product page e.g. Greenhouses have a 6-8 week delivery time. There are also a number of products which are time sensitive such as live plants and biological pest control. The delivery window for such items can vary based on the weather which can result in delays which are out of our control. Once dispatched, how long will it take for my goods to be delivered? Orders are delivered by Royal Mail and other Carrier Companies depending on the size of the product being delivered. Orders sent with Royal Mail are sent as First Class, so you should receive your order the next working day after it has been despatched. Our Carriers usually deliver good within 72 working hours after dispatch, however there are some products such as Fruit Cages, Greenhouse Staging and Raised Beds, that may be delivered in 2 separate deliveries. This is simply because of the quantity and size of the individual parts. Please allow the above time for your order to arrive before contacting us. Will I get notification of my goods being dispatched? You will receive email confirmation to advise you that your order has been dispatched. This email will state which items have been dispatched and the delivery address. If my goods have not been delivered within your specified timescale, what should I do? If your goods have not been delivered within the specified timescales above, dependent on the carrier delivering your goods, please telephone our Customer Services Department on 0333 400 6400 (local rate), who are open from Monday to Friday, 8.30am to 5.30pm. Alternatively you can email us customerservices@harrod.uk.com. The Customer Services Department will then investigate the matter further, taking appropriate action as necessary, and will keep you updated with the developments. I have received my order, but an item is missing. What should I do next? 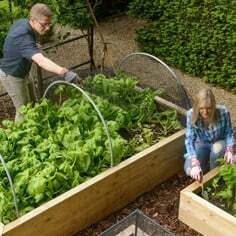 If you have ordered a Fruit Cage, Greenhouse Staging, Raised Beds, or similar large items, it may be that the delivery has been split due to the quantity and size of the individual parts. It is always wise to check the labels on each package, as these should state; 1 of 3, 2 of 3, 3 of 3, etc... Should the labels not coincide with what you have received, please allow an extra working day for the remaining package(s) to be delivered. If after this time you have still not received the remaining package(s), please telephone our Customer Services Department on 0333 400 6400 (local rate). The telephone lines are open from Monday to Friday, 8.30am to 5.30pm. Alternatively you can email customerservices@harrod.uk.com. The Customer Services Department will then contact the relevant carrier company to investigate the matter further, and take appropriate action. If your order does not consist of the items mentioned above, or the labels on the package(s) do coincide with each other, please contact us; details listed above. I have received my order, but an item is damaged. What should I do next? If you have received a damaged item, please contact us; details listed above. The Customer Services Department may require the damaged goods to be returned for inspection, so as to determine how the damage was caused, thus preventing it from happening again. A replacement item, or refund, will then be processed accordingly. You can see our Returns Policy page for more details. I have received my order however it is not suitable for the purpose I require it for/I ordered the wrong size/item/the item is no longer required. We want you to be delighted with your order so if for any reason you are unhappy with your items, you can return them in perfect condition and in their original packaging within 14 days of receipt for a full replacement or a full refund. Return postage will only be refunded if the item is damaged, faulty, or if the wrong items have been sent. When returning undamaged ordered items a return carriage fee will be charged. We do not accept responsibility for damaged or lost parcels on return, so it is advisable to obtain a postal receipt, or send the goods back via recorded delivery. I have received my order, but it does not look how the picture on your website/in your catalogue looks. We want you to be delighted with your order so if for any reason you are unhappy with your items, you can return them in perfect condition and in their original packaging within 14 days of receipt for a full replacement or a full refund. Return postage will only be refunded if the item is damaged, faulty, or if the wrong items have been sent. If the advertised picture for the product is deemed as misleading, we will also refund the return postage cost, and look into rectifying the picture. We do not accept responsibility for damaged or lost parcels on return, so it is advisable to obtain a postal receipt, or send the goods back via recorded delivery. I bought the item as a present, but the person I bought it for does not like it/already has it. We want you to be delighted with your order so if for any reason you are unhappy with your items, you can return them in perfect condition and in their original packaging within 14 days of receipt for a full replacement or a full refund. Return postage will only be refunded if the item is damaged, faulty, or if the wrong items have been sent. We do not accept responsibility for damaged or lost parcels on return, so it is advisable to obtain a postal receipt, or send the goods back via recorded delivery. The item I purchased does not work as it should/is faulty/is damaged. Please telephone our Returns Department on 0333 400 6400; they will advise you whether they need to arrange for the item to be collected from you by a carrier company, or whether you need to return the item back to us via the Post Office; this will depend on the weight of the item in question. If the item was received damaged, or is faulty, you may be advised that the item does not need to be returned back to us at all. If a collection needs to be arranged, this will be made for a weekday only, between standard working hours. If you are not able to be at home when the collection is to be made, you may leave the good somewhere safe. Whether you are returning the goods back to us via the Post Office, or a collection has been arranged, please visit our Returns Policy page to download our Return/Exchange Form and include with your returned goods. From time to time we do give special promotional offers that are triggered by quoting a Promotional Code at the shopping basket. The terms of such offers are that only 1 Promotional Code - and therefore 1 offer - can be used per order. When a free gift is offered a minimum spend is required - if stock runs out an alternative may be offered. Discounts are not applicable on any Made to Measure products. • Rolawn products, e.g. topsoil, bark. • Any other product which has ‘ THIS PRODUCT IS EXEMPT FROM ANY PROMOTIONS, DISCOUNTS AND EXPRESS DELIVERY’ highlighted on the product page. Are my payment details stored on your website? No, we do not store any credit card details on our website. We take security very seriously and our website is fully secure and PCI DSS compliant (Payment Card Industry Data Security Standard). My password to log into your website is not working. The ‘log in’ section of our website is ‘case’ sensitive, so if you used capital letters within your password when you originally registered on our site, you must use them in the correct place every time that you log in. If the website is stating that your password is incorrect, there is a ‘password reminder’ button to click on. You will then be sent an email to the email address that you registered with, which will give you the password that you set up. You must not copy and paste your password from this email: your password will need to be typed into the box manually. If the website is stating that your email address is incorrect, it may be that when you originally registered on our site, the email address was entered incorrectly. Unfortunately if this is the case, you will need to re-register. I have forgotten my password to log into your website. If you have forgotten your password or the website is stating that your password is incorrect, there is a ‘password reminder’ button to click on. You will then be sent an email to the email address that you registered with, which will give you the password that you set up. You must not copy and paste your password from this email: your password will need to be typed into the box manually. My payment details have changed. How do I amend them on your website? We do not store payment details on our website: you must enter them each time that you place an order. I have entered the incorrect payment details for my order. How do I correct them? After you have added the relevant items to your basket, clicked checkout, and entered your payment details, you are taken to your delivery options. In step 1 of these delivery options there is a section that you can click on should you need to amend your payment details. When you click on this, a pop up will appear that says ‘you are about to delete your payment details. Do you want to continue?’. Clicking yes will simply delete the details that you previously entered, ready for you to register them again. I need to amend my address details on your website. How do I do this? You will need to login to the website - click 'Login' just above the basket box at the top of the website. Once logged in within Your Accont section you can amend any address details. Can I check past orders on your website? Yes, you can. As long as you created an account when you placed your order you can logon to your account and within the 'My Account' section you can select 'Order History' and you will see all your past orders placed on the website. These include order reference number, the dates the order was placed, the items on the order and the total prices of each. There is an option to re-order either the whole order or any individual items. 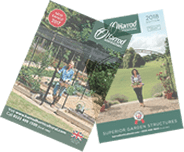 Write a review and one winner each month will win £20 HARROD HORTICULTURAL VOUCHERS. A product review is chosen at random at the end of each month and the winner will receive their £20 worth of Gift Vouchers within 28 days. Details of winning entries will be posted to our website. All product reviews may be used for promotional purposes.